Dr. Shawn is a graduate from the NYU School of Medicine. She completed a fellowship in medical toxicology at the NYU School of Medicine/New York City Poison Control Center in 2013 after completing a residency in emergency medicine at the NYU School of Medicine/Bellevue Hospital Center in 2011. 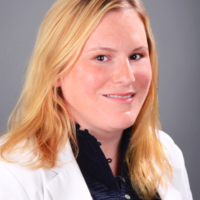 Dr. Shawn currently is an assistant professor of Emergency Medicine at the Icahn School of Medicine at Mount Sinai and an attending physician at Mount Sinai Saint Luke's and Mount Sinai West Hospitals in New York City. Her current interests are new drugs of abuse, using simulation to teach medical toxicology, and teaching a rational use of antidotes.